Puma have updated the color palatte for their latest and greatest silo with the evoTOUCH Pro Special Edition releasing today. 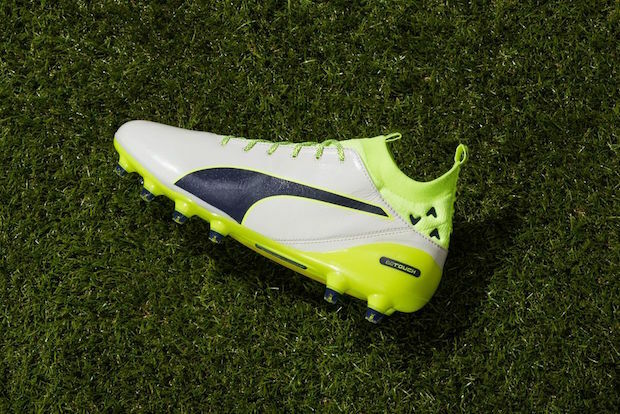 The Puma evoTOUCH Pro is already turning heads and winning over hearts in its short existence. The supple leather combined with the evoKnit sock create a combination players have been dying to have on their feet for years. Leather and knit. Old and new. The limited edition version of the evoTOUCH Pro comes in a special box that shows some of the high end features on the boot and it even comes with a pair of stirrup socks to highlight that these are the first high end boot you can comfortably wear without socks. 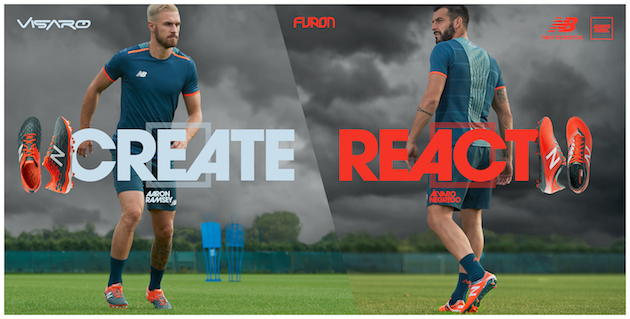 Puma even suggests that playing barefoot will give you greater touch on the ball. 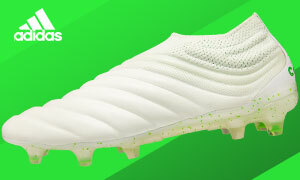 From the packaging to the colorway, the evoTOUCH Pro moves over from a black leather base to an white leather base on the special edition version of the boot. 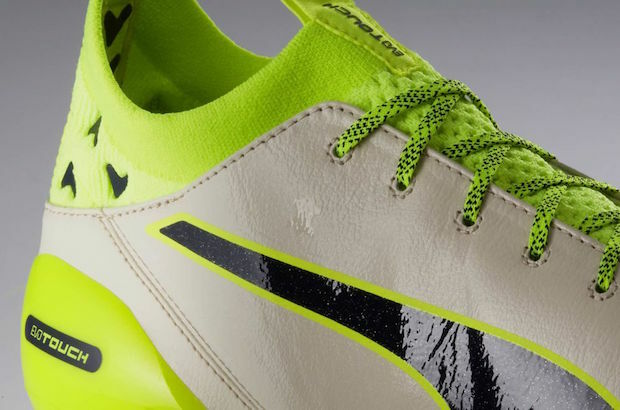 A black Puma formstripe runs down the outside of your foot with Safety Yellow outlines around it. The evoKnit sock and external heel counter are both painted up in Safety Yellow to add a little more brightness to the cleat. The colorway is mostly just a flip from the launch colorway but still looks great in my eyes. The tech specs of the evoTOUCH Pro are what really set this boot apart. The upper is crafted from a super light and thin K-Leather to provide some of the softest and most supple leather you will ever play with. The leather will stretch some like most K-Leather boots so even if you have a little bit wider feet, the evoTOUCH Pro will still be an option. 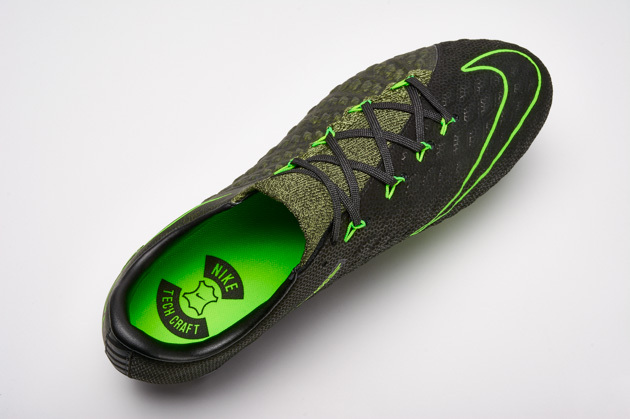 The evoKnit sock gives as close to a real sock feel as any top sock cleat on the market today. 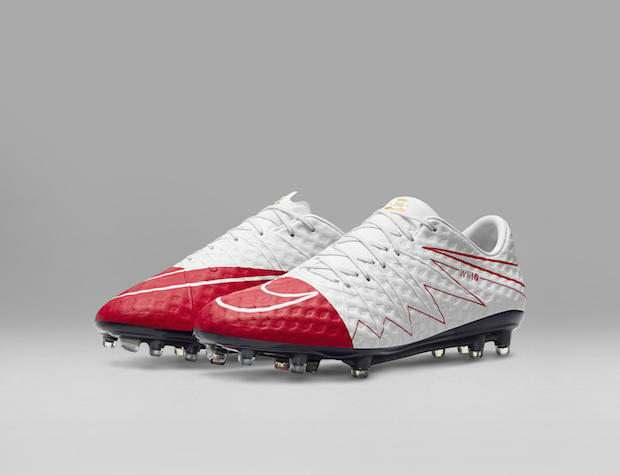 It is form fitting and enhances the fit and lockdown you receive while controlling the game in the evoTOUCH. To help enhance the lockdown and fit even more, Puma have included many GripTex arrows on the inside of the sock and on the insole to prevent your foot from slipping while playing. 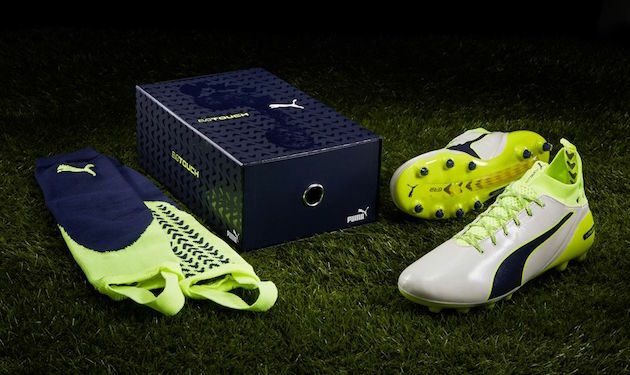 Essentially, Puma have created a way for you to have all the benefits of a grippy sock inside of the shoe. The soleplate is made up of all conical studs that features a SpeedTrack Spine to add more stability underneath your foot.